Gangemi Racing :: It's a "Shack Attack" !!! There's massive expectation on a horse when they are sold for $1.35m as a yearling. Add to that the fact that you are being trained by one of the biggest names in racing in Gai Waterhouse and poor Shackleton has had pressure on him from a young age. In his first three starts "Shack" had not run a place in maiden company in NSW and his future was looking far from rosy. 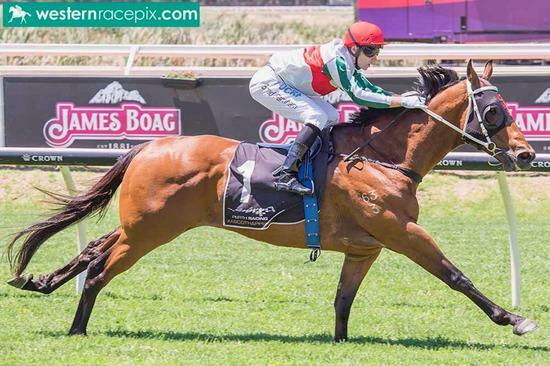 Fortunately for the Fastnet Rock gelding, the Gangemi Racing horse "scout" in Michael Gangemi liked what he saw and approached the owners with an offer to buy him. The deal was done and Shack was flown to Western Australia and gelded. A big group of owners was formed with many of them first-timers. A first-up trial win at Belmont showed that he definitely had some ability and it was with some level of confidence that Shack lined up at Ascot yesterday over 1000m for his first start in the West. Sent out as second favourite behind a Jim Taylor horse that had won 5 from 5 trials, many thought that Shack was only running for a good second place, however, the gelding and regular jockey Brad Parnham thought otherwise. Jumping from an inside gate, Brad settled Shack behind the odds on favourite and leader Chisano. Coming round the final bend, he looked a little bit under pressure, however, when Brad got him out into the open he really knuckled down to his task; firstly to get to the leader and then kicking away for an easy win of 2.25 lengths. There was a great deal of cheering from the first-timers in particular - first horse, first start, first win. On his run yesterday, Shackleton showed that he has real potential and will provide a great deal of fun for his big group of owners.